Blogger is a wonderful platform, for bloggers, and millions of people use it for blogging purposes. 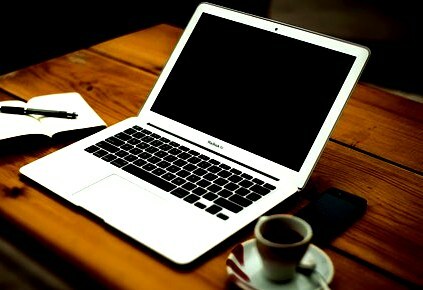 Blogger introduced various new themes in 2017, for those bloggers who maintain their blogs on Blogger.com. These new themes by Blogger are not only beautiful but serve the purpose for which they are designed. One of such newly launched blogger themes is Contempo. I am going to discuss the Contempo theme in this article. The features of Contempo theme are discussed below. Contempo blogger theme is a responsive theme, which works great on LAP TOP and Mobile devices. Users using the mobile phones, can reach and read the content easily. This theme is developed by the blogger, through developers therefore, the reliability of the theme is increased. Contempo is a lifestyle theme, where you as a blogger can share the content related to your life experiences. If you run a blog for sharing your real life experiences, Contempo is great for you. If you travel to different destinations and want to share your real experiences or if you want to share the adventures with your readers, then Contempo will work best for you. You can also share posts such as Stories on Contempo. People who love reading stories will be engaged on Contempo blogger theme, if you provide the engaging stories on your blog. Contempo blogger theme allows automatic generation of featured image for your post. This is amazing. Contempo blogger theme is available in 5 different designs which you can choose from. These designs attractive and catchy. The Contempo blogger theme gives your readers, comments option, by providing the commenting form, which is amazing and beautiful. This makes the theme more special. Your blog readers when come on your blog with Contempo theme, find it easy, to subscribe your blog, due to the prominent subscription tab placed in the theme. Contempo blogger theme provides you with, sticky side bar where you find different important options like archive, labels etc. Professional bloggers show their identity, to the readers, to engage them and gain their trust. With Contempo, you can eaasily show your identity as a blogger, in the side bar with your picture. This makes the Contempo not only beautiful but professional as well. If you use the new blogger themes, you will find support from blogger.com because these new themes are designed by developers arranged by Blogger itself. This is really amazing, as you can get the support of Blogger. If you use the free blogger themes introduced in 2017, then share your experiences with us by commenting below. I hope that you find this post informative. 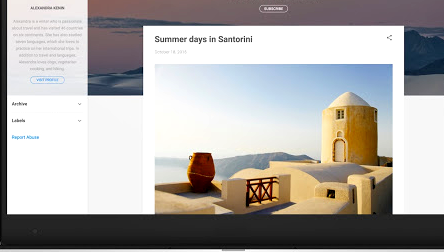 It is recommended to try this theme of blogger, to have a great experience.